Volvo’s new home-grown engines, replacing several existing engines for 2014. Volvo’s new engine family ranges from a turbo diesel to two new 4 cylinders. The top of the line enthusiast-oriented engine is a supercharged and turbocharged 2 liter 4-cylinder, yielding over 300 HP. All the expected engineering is there including direct injection. But what you might not expect is how much further Volvo goes from there. Read on for full details. Volvo Cars’ new Drive-E range of powertrains takes efficient driving pleasure to a new dimension in which the number of cylinders is no longer important to describe power and drivability. 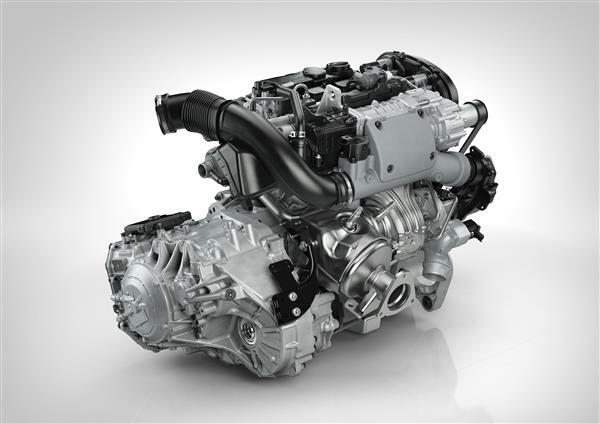 The first three engines from the two-litre, four-cylinder Drive-E powertrain family will be launched in autumn 2013. The diesel version features world-first i-Art technology, and the most powerful petrol version comes with a class-leading combination of a compressor and a turbocharger. “We have created smaller, more intelligent engines with power curves that give exciting driveability compared with engines with more cylinders yet deliver the fuel economy of only four cylinders. In addition, by adding electrification such as plug-in hybrid technology, we will reach power figures in the V8 territory,” says Derek Crabb, Vice President Powertrain Engineering at Volvo Car Group. The whole Drive-E engine range, which, during the development phase, was called Volvo Engine Architecture (VEA), basically consists of two four-cylinder engines, one common rail diesel and one direct-injected petrol version. They replace eight engine architectures on three platforms. Drive-E diesels will range from 120 to 230 hp. Petrol versions will start at 140 hp and go all the way up to 300-plus hp. Several levels of turbo charging open up the flexibility to cover the whole range, from fuel-efficient derivatives through to high power and torque variants. In order to cover all customer requirements, some engines will also gain added performance via electrification or other spearhead technology. Initially, the new S60, V60 and XC60 will be available with three engines from the new engine family: the 306 hp petrol turbo T6, the 245 hp T5 and the turbo diesel D4 with 181 hp. A new 8-speed automatic gearbox contributes to a refined drive and excellent fuel economy. The T5 and the D4 are also available in the new Volvo V70, XC70 and S80. 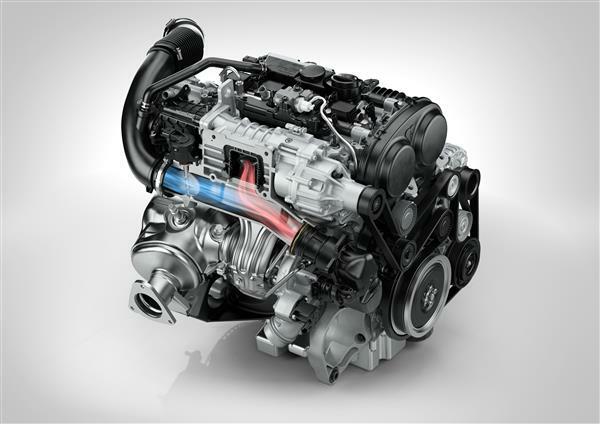 Volvo Cars’ power train experts have developed the engines in-house. They are being built at Volvo Car Group’s high-tech engine plant in Skövde, Sweden. To deliver the desired responsive, smooth and fuel-efficient drivability, the engines are teamed either with a new eight-speed automatic gearbox or an enhanced six-speed manual, tuned for improved fuel economy. The diesels feature world-first i-Art technology. By featuring pressure feedback from each fuel injector instead of using a traditional single pressure sensor in the common rail, i-Art makes it possible to continuously monitor and adapt fuel injection per combustion in each of the four cylinders. “Increasing the rail pressure to an exceptionally high 2,500 bar, while adding the i-Art technology, can be described as the second step in the diesel revolution. It is a breakthrough comparable to our invention of the lambda sensor for the catalytic converter in 1976. It’s another world first in passenger cars for Volvo,” says Derek Crabb. Each injector has a small computer on top of it that monitors injection pressure. Using this information, the self-adapting i-Art system makes sure that the ideal amount of fuel is injected during each combustion cycle. The combination of higher injection pressure and i-Art technology gives the customer an engine with improved fuel economy, considerably lower emissions and high performance output as well as a powerful sound character. The diesels also feature refinements such as state-of-the-art twin-turbo, reduced friction and a smart valve solution on the cooling system for a more rapid heat-up phase after a cold start. Using the supercharger to fill in the bottom end torque gives the petrol engine a big, naturally aspirated feel. The mechanically linked compressor starts to function immediately at low revs, while the turbocharger kicks in when the airflow builds up. Other improvements to the Drive-E petrol engines include friction-reduction measures such as ball bearings on the camshaft, high-speed continuous variable valve timing and intelligent heat management with a fully variable electric water pump. The Drive-E engines are prepared for future electrification from the start. Key components, such as the Integrated Starter Generator, can be connected easily – and the compact size of the four-cylinder engines means that the electric motor can be fitted in the front or rear of the vehicle. The battery pack will be located in the centre of the car. Volvo Car Group is highly confident that the focus on four-cylinder Drive-E powertrains is the right way to create the desirable blend of power, drivability and fuel efficiency.